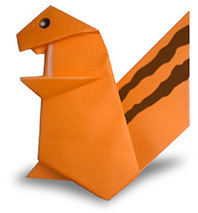 Squirrel Origami -Today I am going to show you how to fold Squirrels Origami . Squirrels are classified as rodents the word squirrel comes originally from old french word "escurel" which means shadow tail. They live in tropical and semi desert environments. 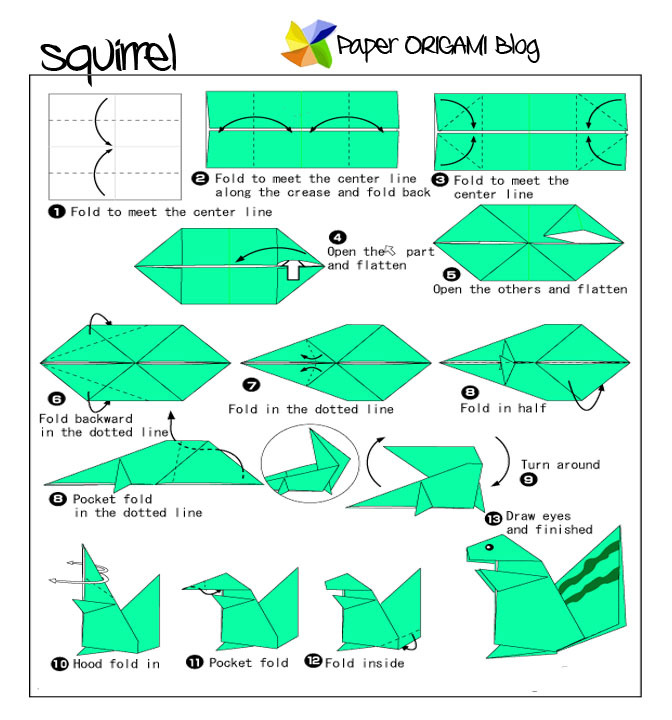 If you are fun of making origami here is the diagram of folding its Origami.